 Vault Lid (Manhole Cover) Ergonomics | EXTREME ERGONOMICS INC.
Utility workers developed injuries lifting and removing heavy (up to 250 lbs.) vault lids. High incidence of back and shoulder injuries resulted with an injured and aging workforce. A special tool was designed and developed to lift and replace different types and sizes of vault lids without exacerbating back injuries. Ease of use also geared toward aging utility workers and easy storage were significant final design parameters. 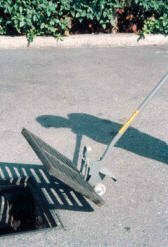 Vault lids and grates can be removed and replaced by injured workers. Removal task is faster and easier for non-injured workers and injury is prevented. Puller functions with different sized, configurations and extremely heavy lids. Compact size allows easy storage (with accessories) within service vehicle.